Need a speaker on food waste?? Contact Jonathan: wastedfood [at] gmail dot com. 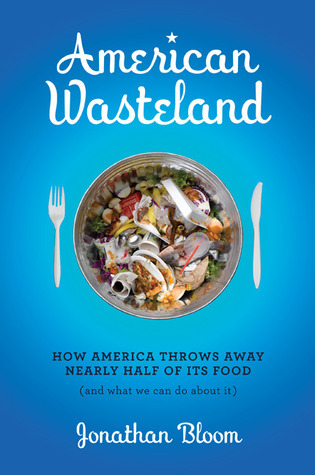 He can tailor a talk on wasted food for any school, company, conference, organization, or–perhaps–bar mitzvah! See below for his upcoming and previous appearances. Jan. 2010 – World Association of Chefs Societies conference (Chile). I came across your website while gathering more information for my students about food waste. I watched the show on Food Network and wanted to add more information to my Environmental Classes. I teach at a school in south Florida, Naples, Palmetto Ridge High School in Golden Gate Estates. We have a very close farming community in an area called Immokalee. Even though it is very close I feel the students are closed off to just how much is wasted in our are. I just purchased your book and would like your permission to reference it during my discussions. I was also wondering if your speaking tour will be bring down to Florida anytime soon. Glad that you found your way here and that you’re teaching about food waste. By all means, please do reference my book in your class! No current plans to be in Florida in the near future, but it only takes one speaking engagement…I’m not doing a tour so much as giving individual talks. But I’m always happy to maximize each trip with multiple talks. Hi, Jonathan – I’m enjoying reading your book right now. I did catering in the ’80s in WDC, and used to have leftovers picked up by an organization I no longer remember the name of. I shop for no more than I need for the next day or two, and as a single person, have very little food waste. Most frequently, it’s the remains of the smallest container of milk I could buy for making a cake or Bolognese sauce. Thanks for bringing people’s attention to this matter. Is there any chance you’ll be speaking in Pittsburgh? There is no way that you can change the mentality of people because in united states people think that they are spending money so who cares, for example in restaurants if they dont like the taste because they never tried it before they go and ask for replacement and that food is garbage. I own 35 restaurants and this is never ending problem. They never think that they are wasting tons of food which people dont even get to see in third world countries. I personally believe that because of this food waste culture one day USA will pay very high price in terms of poor economy and scarcity of food. Great presentation yesterday at SWANA! Thanks so much for the data and all of the tips. I will spread the word here in Ipswich and look forward to reading your book.